Removing Part or All of Your Nail to Treat Nail Fungus – Does it work? The short answer is that no one really knows for sure. There hasn’t been much research on removing some or all of the nail to treat fungal nail infection. This treatment isn’t used very often, but your doctor might suggest it if your infection is severe or keeps coming back. If you are experiencing recurring nail fungus infestation then this might be a bigger issue with your immune system and your overall general health. You might want to discuss with your doctor doing a cleanse and changing your diet to include more organic live foods and stay away from cooked foods. You can have your nail completely removed (this is called avulsion) or partially removed (this is called debridement). This can be done either with minor surgery or with an ointment that softens the nail so that it can be removed easily. Surgery: Your doctor will first numb the skin around and under your nail with a shot of a local anesthetic. He or she will then use a tool to separate your nail from the surrounding skin and nail bed (this is the area under your nail). Once the nail is removed, your skin underneath should heal in a few weeks. Removal with an ointment: Your doctor will cover the skin around your nail to protect it and then put an ointment on the infected part of your nail. Your nail will then be covered with a plastic dressing, which you’ll need to keep dry. After a week to 10 days, your nail should be softened enough for your doctor to remove it. The skin that was under your nail should heal in a couple weeks. After your nail is removed, your doctor will probably recommend putting an antifungal cream on the nail bed or taking antifungal pills. This is because the fungus lives on the skin under your nail, rather than on the nail itself. If you have a fingernail removed, it should grow back in about six months. If you have a toenail removed, it may take 12 to 18 months to grow back. If you keep getting infections, your doctor might recommend completely removing the nail and then putting a chemical on the thin layer of skin at the base of your nail (your cuticle) to stop your nail from growing back. We don’t know. There hasn’t been much good-quality research on whether removing all or part of the nail can get rid of fungal nail infections. We found one study that compared antifungal pills (terbinafine, itraconazole and fluconazole) with other types of treatments, including removing part of the nail and putting antifungal medicine directly on the nail.1 It found that people who used antifungal pills were more satisfied with their treatment than people who had part of their nail removed or put medicine on their nail. Once your nail is removed, there’s a chance the skin underneath could become infected while it heals. To prevent this, doctors recommend keeping the skin clean and dry, and putting on an antibiotic cream. If all or part of your toenail is removed, it’s possible that the corner or side of the nail could regrow into the skin on that toe. This is called an ingrown toenail. A mild ingrown toenail can be treated with remedies at home, such as soaking your foot in warm salt water and then putting cotton underneath the ingrown part to help it grow above the skin. A more severe ingrown toenail, however, will need to be treated by your doctor. This entry was posted in Toenail Fungus. Bookmark the permalink. ← Which Treatments Work For Nail Fungus Infections? I am currently treating a fungal infection on my big toe with a limited nail removal. I began a treatment of grinding the thickness of the nail down, gradually, over several days until it is now quite thin. Now I am treating with Tea Tree oil and await the results of this modified nail removal. I can see through to the nail bed. Two dark spots halfway up the nail in the center are visible on the nail bed. I will wait and see if they move up the nail in the coming weeks. This is a painless proceedure if one takes care not to overheat the nail while grinding. I used a nationally advertised brand of canine nail grinder with the guard removed. I am 60 years old with no diabetes or circ problems. I am 7 years old and i have had toe fungus since I was 3.My pediatrican gave me childrens motrin but it doesen`t seem to help.I am very self concious about wearing flip-flops because all all my freinds make fun of me.OMG,what do I do? finger/toe in a small amount of very warm water with 1/2 – 1 oz of bleach every other day – the fungus got killed and fungus was eradicated within a month. Remember that household bleach kills nearly everything, mold, HIV virus, Hepatitus virus and many other things. cleared my nails in only a few months. Good stuff. Don’t put bleach ever! Gives you cancer. significant pressure is applied to the working surface (the infected nail). I had nail fungus in both my big toe nails. Then I had an accident with a Flymo [rotary mower] owing to a foolish manoeuvre. Among other things, this took off my right big toe nail. It eventually grew back with no fungus. The left toe nail is as before. An interesting, effective, but not recommended treatment. My left big toenail has been infected for several years now, I’m 27. I’ve tried heaps of measures to try to get rid of it including teatree oil and curanail. I’ve not put anything on it for at least 8 months and tonight I was able to cut the whole thing off practically. It was detached and completely dead so did not hurt. I hope to have more success now, killing any remaining fungus off by putting something directly on the skin/lasting live nail/cuticle. What to put on?? Protect your nail as it grows back and don’t assume its all gone as I think I may have originally picked something up when my toenail was completely crushed by someone stepping on it all those years back. I have been dealing with this for years…found the active ingredient in over the counter antifungal foot spray tolnaftate 1% has been helping…along with a clean diet with high quality probiotics. To get past the unsightly summer flip flop situations, I have a very patient pedicurist who keeps them looking pretty – a dark red polish does the trick and I tip her well:) but was wondering if anyone has heard of any nail polish with an antifungal ingredient in it? to be absorbed under the nail. p.s. I hate it !! I used Lamisil oral for a toenail infection i had for several years. It cured the infection in about 90 days completely. I’ve had no recurrence whatsoever after 5-6 years. Lamisil side effect was that everything i ate tasted like cardboard, therefore I lost about 4 pounds. “This treatment isn’t used very often” is exactly why we continue to suffer from nail fungus. It’s clear that there are many types of infections, but unless you are willing to take an oral medicine and accept the health risks, you MUST remove the part of the nail that covers the affected area, or the medicine doesn’t get where it is needed. You have got to cut the nail and clean the mess below it, the apply medicine. For most of us, it is only way to overcome the beast! 1. Take an oral medicine and apply various topicals until you find one that works. I wouldn’t do this because oral remedies have low but serious health risks, such as liver damage, and you need a healthy liver. I say it’s not worth the risk of permanent damage to your imune system, or to your chemical factory (your liver). 2. 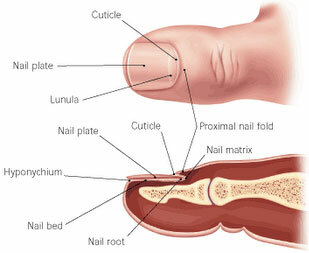 On a weekly basis, remove the nail over the affected area and the junk below it. Try home and/or over-the-counter topicals until it’s gone. This can take 3 to 6 months. This is what I did, and it worked. I removed most of the nail and junk with clippers and applied ciclopirox from eBay (1/10th the price of the prescription laquer), and not laquer based). Took 6 months to kill the fungus. Would have been easier to have used nail removal liquid from the start, but I didn’t know of it, but you can go get it now. 3. Try topical and soak remedies suggested by people on this site. This will likely do nothing to correct the problem, and you’ll have a lifelong relationship with your fungus. I had my big toenail removed and now the toe is all red and afraid It is getting more infection. I am wondering if I dare soak the toe and if I should keep it dry until it heals. The Dr. didn’t give me any antibiotic orally,but I do have the antibiotic cream. What should I do until I can reach my Dr.? I am currently using Ciclopirox and have been for 2 months. Scott talks about 6 months. I’m wondering how thin I should make the nail every week. I use a metal nail file and work for about 30-45 minutes thinning. And I wonder how I will ever know if the fungus is gone. I feel like if I could wait 4 months to see if it’s gone, but then I won’t be thinning the nail to make it go away if it is still there. And I’m wondering how the Ciclopirox can get through the thinned nail to reach the fungus.